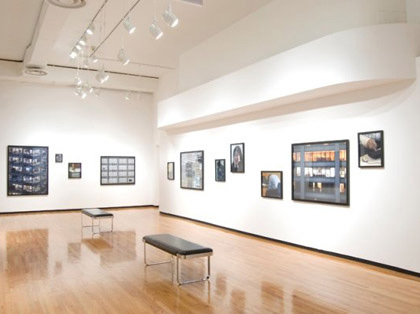 This installation was an experiment with representation and included work completed by the artist on his recent journey to war-ravaged Rwanda. It was an investigation of the translation of tragic world events into visual language. 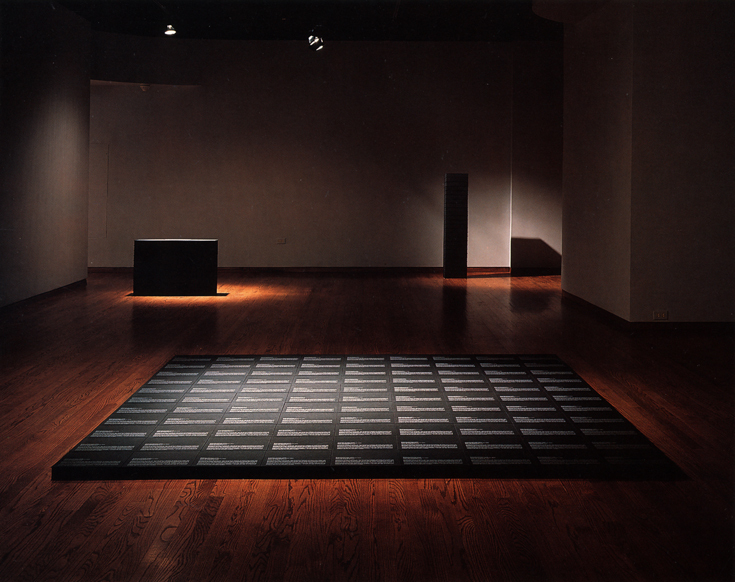 The installation consisted of various memorials constructed with many stacked and repeated black linen portfolio boxes. Each box was presented closed with a photograph inside. The text on the boxes described the events, sites, people, and what they witnessed. The boxes were repeated forcing the viewer to determine what could have affected him/her more--the impact of the written work or the “imagined” image.